When I was a young witch, getting fancy supplies was difficult. I had very conservative Christian parents who would see anything I ordered through the mail, and would know if I went to a botanica or spiritual supplies store. They also went through my things. So resourcefulness, stealth, and making things easy to store and conceal was crucial. Getting expensive resins was almost impossible for me, and what I did manage to gather or harvest had to stretch a long way. 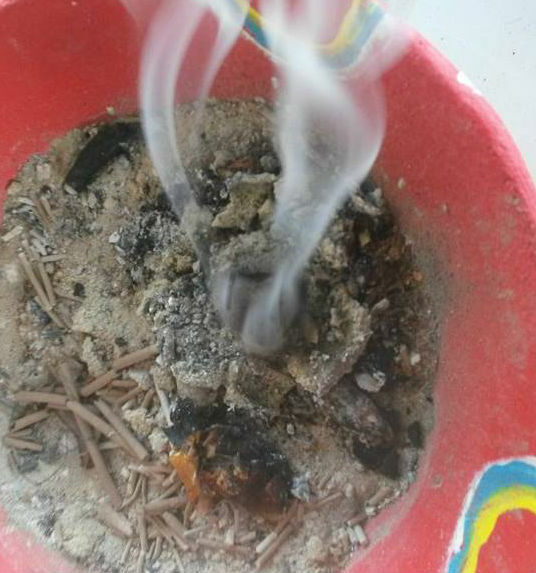 Fortunately, my elders had taught me how to make incense using wax, rather than resins as the fuel component. You can use almost any kind of solid wax. I don’t recommend soy wax because it is too liquid. Paraffin, such as is used in normal candles works just fine, but beeswax is one of the best. You can also use floral waxes like jasmine or champaca wax. Enodia Black has a good article on Llewellyn Worldwide about making granular incense in which she mentions the use of floral waxes. You can also use a combination of wax and powdered resins. Just be aware that different waxes melt differently. Another thing to know before you start is that you want to melt this, not cook it. Just enough heat should be used to get everything fused together. So you can do this with a pan in the oven, or on the stovetop. As soon as it is liquid or at least a sort of mud, you want to take it off the heat or else it will separate. It may separate a little anyway, but you want to minimize this as much as possible. 1 part herbs, powdered woods, etc. 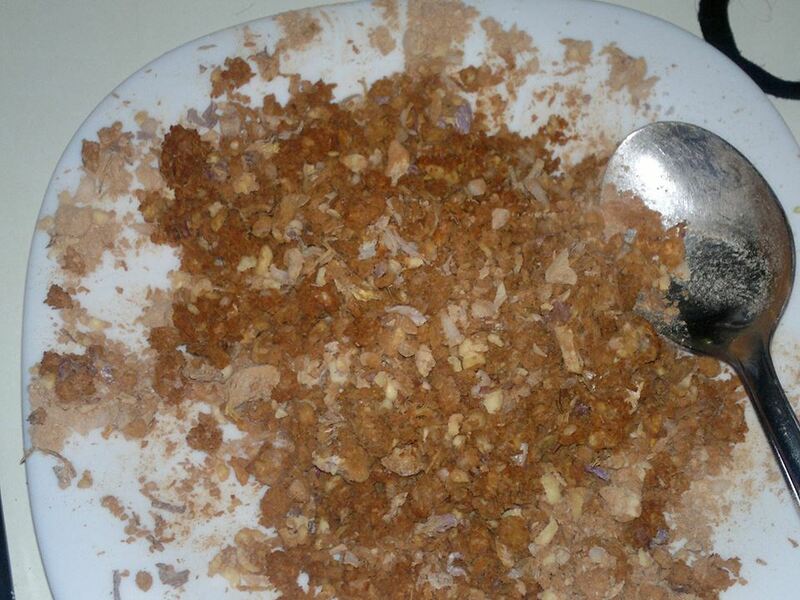 Grate, shred, or shop the wax finely, and then crumble and press it together well with the starch with your fingers. 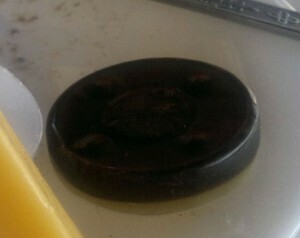 The starch is to keep the wax from igniting rather than burning and smoking. If, by the way, you want something that will ignite (like if you’re making it for immolations to a Fire deity), you can use dryer lint or the sort of cloth fibers used to make paper. Just be sure there are no long strands, or you will have trouble breaking it up. After you’ve pressed in the starch, mix in the herbal material. Then melt the mixture. You can do this in a pot on the stove on very low heat, or in a double boiler. You can also melt it in the microwave or in a pan in the oven. Whatever works. Just remember to remove it from the heat as soon as it is melted. You can pour it into molds if you want pretty pellets, or keep it in one piece and break some off when you need it. When I’m making a very small amount, I like to use the leftover tealight tins as molds. This incense smokes very well, and lasts a pretty long time. A small 1.5 cm square piece can burn on charcoal for half an hour or more. Because of the good, steady smoke, it is a good incense for capnomancy (smoke reading). how to make wax incense, incense, incense pellets, making incense with wax, making wax incense, wax, wax incense, wax instead of resin. Bookmark.